These presentation slides 47217 are complete compatible with Google Slides. Simple download PPTX and open the template in Google Slides. 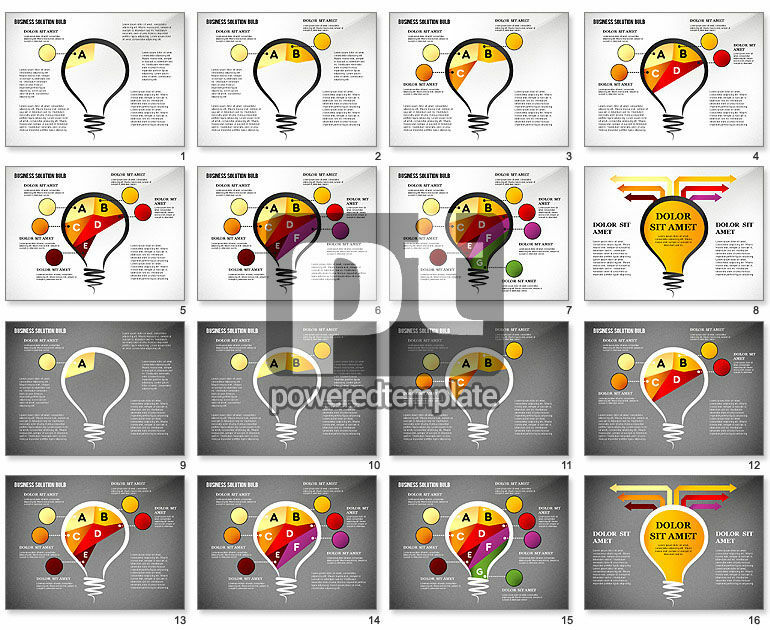 It is a very stylish bright theme that contains an idea light bulb, painted in a casual hand drawn manner, various arrows of different size and shape, created in yellow-orange-red palette on two variants of the background, light and dark grey, with circles and letters. This great template may suit perfectly to presentations dedicated to new ideas, success, research, conceptual strategy, etc.